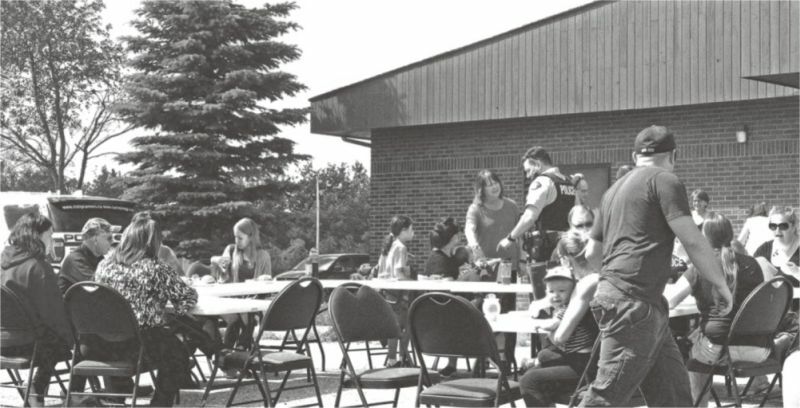 Peace Region Victims Services held a community BBQ on the grounds of the McLennan RCMP Detachment on July 4. 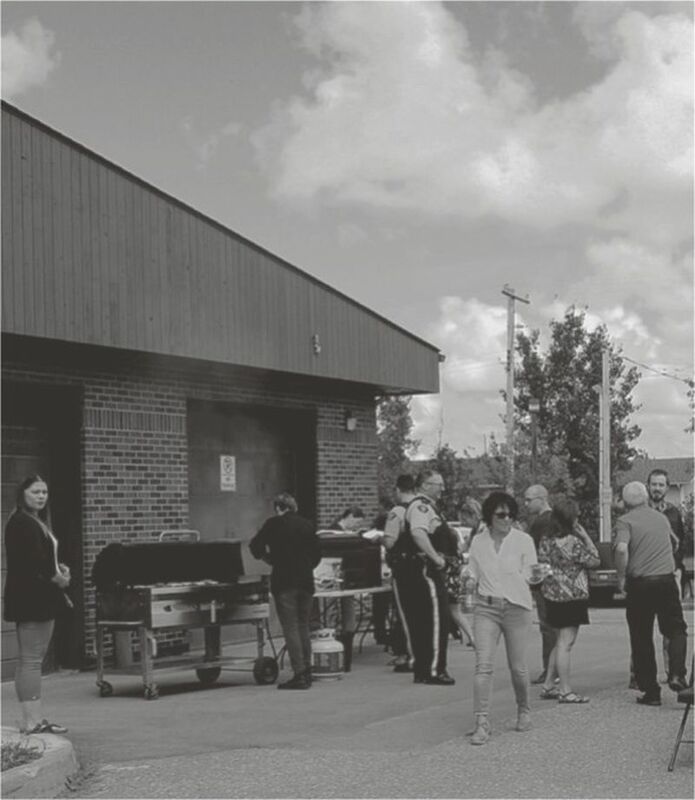 “These BBQs were designed to try and bring community, police and Victims Services together so the community could be a little more aware of some of the resources that are available,” says Brian Turpin regional coordinator with Peace Region Victims Services who attended the BBQ. Turpin points out that domestic violence can be a very complicated, difficult situation. He says it is not just the crime but the support an individual receives after they decide to disclose the crime to the police that can decisive. “So what we do is we work with the victims once they have reported to the police,” says Turpin. ” The police will refer the victim to us to provide them with services such as victim impact statements, financial benefits, restitution and peripheral resources that we identify for victims, such as counseling and different things like that,” says Turpin. Victims Services also accompany victims to court and prepare them for what to expect with the trial in regards to the individual charges. They also walk the victims through the criminal justice system to make it less intimidating. Victims Services work alongside the RCMP at the McLennan Detachment and they start working right away once the victim is referred. However, the victim does have the choice to decline the service if that is what they want. There are seventy-seven police base units across the province that provide Victim Services. The main office for this region is in Peace River but they have an office at every detachment in the region. The program, which has been around for almost thirty years is funded by the Justice and Solicitor General of Alberta through the victims of crime fund. It is not funded with taxpayers’ dollars but through the surcharge on such things as fines and DUI violations. Peace Regional RCMP Staff Sgt. Brent Meyer was also at the barbeque and talked about the valuable assistance Victims Services provides to police officers. 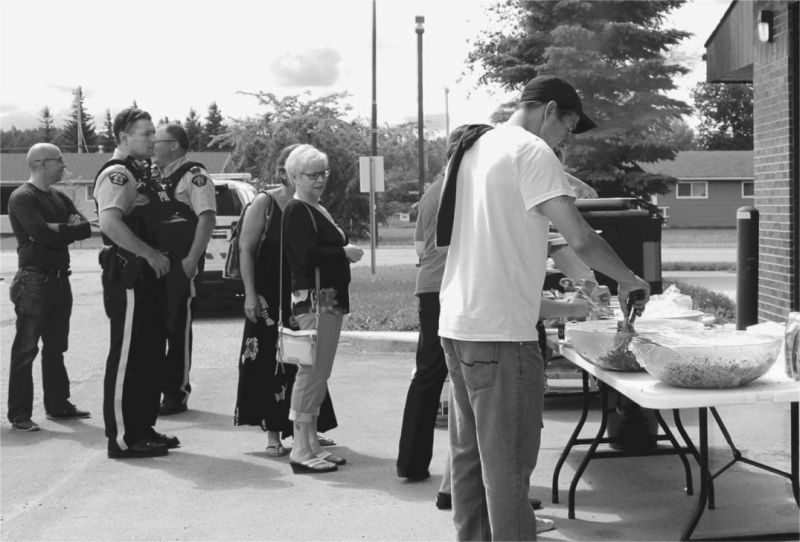 The barbeque is a new initiative for promoting community awareness of Victims Services and the kind of assistance they offer and to make people familiar with the police outside of times of trouble or crisis.